I recently took my self to a gathering of a dozen selves to discuss the idea of self, East and West. This created a strange dissonance between the theoretical premise of the meeting and the empirical reality. The people seated around the table seemed very obviously all to be the same kinds of beings, yet they kept telling one another how differently they conceived the self. Stark differences between theoretical selves were completely indiscernible in ordinary human interaction. In the East, it is often argued there is no meaning of self that is independent of our relations to others. The self is irreducibly social. A cynic might conclude that this is yet more evidence – as though any more were needed – that the abstract speculations of philosophers have nothing to do with the lived reality of daily life. But there is a more charitable and also more credible explanation. We have different conceptions of the self the world over not because selves differ, but because at different times and places people have more or less concern with different aspects of selfhood. They provide different answers to the question “What is the self?” because that apparently singular question in fact contains any number of different ones. This explanation also helps justify the value of cross-cultural and cross-disciplinary inquiry. The point is not to reach some kind of warm, ecumenical mutual understanding, rooted in profound respect for difference. Rather it is to see that our questions are not the only ones worth asking and that by considering others, we might not only open up new vistas but also see our familiar intellectual territory in a different light. Both these explanations for the coexistence of radical difference and fundamental sameness seem extremely plausible when it comes to ideas of self. Take perhaps the most commonly noted, broad-brush feature of the Eastern conception of self: its relationality. Whereas in the West the self is understood primarily as an autonomous ego whose existence is distinct from that of others, in the East, it is often argued there is no meaning of self that is independent of our relations to others. The self is irreducibly social. Evidence for this is legion. There are more than a dozen different words for “I” in Japanese, and which one people use depends on the precise social circumstances. All of this is no doubt true, but we misunderstand what it means if we see it as indicating a wholly other idea of self to that which holds in the West. That would be to fall prey to a kind of exoticization, the source both of xenophobia and romantic idealizing of the foreign Other. 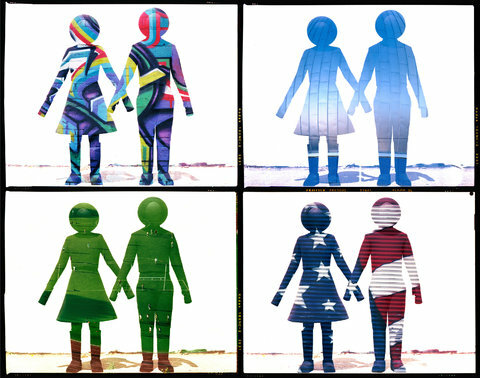 Many identities are relational in the West, such as those of parent, child, group member and so on. What we think of as different notions of self are largely a matter of differences in what aspects of self are expressed where and when. Why then is it that different aspects of self receive greater or lesser emphasis in different cultures? The answer is, I think, primarily ethical. Conceptions of self are usually assumed to be attempts to describe the objective reality of what a self is, and this is indeed what thinkers around the globe have often thought they were doing. But philosophies of self are usually at least as prescriptive as they are descriptive. For example, thinkers like Confucius knew that people could choose to live in isolation as rugged individualists. Living without relationality is perfectly possible; it just isn’t good. There would still be some self living such a life but it would be an impoverished, emaciated one. Differences between conceptions of self are therefore more ethical than metaphysical. Hence these Eastern accounts of self do not so much provide a rival set of answers to the questions asked in the West as suggest that there may be other questions worth asking. If we want to know what it is which underpins the continued identity of a self over time, for example, it seems to me nothing from the East threatens the account offered in the tradition of Hume and Locke, in which psychological continuity is the bearer of selfhood. The question posed by a fruitful engagement with the East is whether this continuing self is best sustained by its own resources alone or its engagement with society and with others. Western philosophers have never been completely blind to these questions. William James explicitly talked of the social self. Generally speaking, however, they have played down relationality and emphasized individuality. Many in the West now question this, wondering whether we have become too atomized, too discrete. Eastern ways of thinking about the self are a resource for thinking about how we might change this. As the West rethinks the importance of relationality, it also needs to think which relations matter most. At the moment this looks decidedly under-thought. We worry about “bowling alone” and about diminishing social cohesion but are the relations that can fix this the ones of family, friends, neighborhood, community, nation, social media, interest groups or religion? Comparative philosophy shows us that there is more than one possible answer, and perhaps others that no great tradition has yet given. There are also other gains to be had from cross-cultural philosophical encounters. First, there would certainly appear to be some value in at least understanding the often implicit philosophies that inform populations, benefits for both observers and those observed. We should be careful, however, that an atmosphere of ecumenical respect does not prevent real interrogation. To learn from other traditions one has to see the bad as well as the good. The downside of less emphasis on individuality, for instance, can be an excessive deference and a consequent lack of energy against injustice. When self is defined relationally, that can also make it more constrained by society and less flexible. That perhaps in part explains the relatively high suicide rate in Japan. North Korea is an even starker reminder of how the relegation of self can be a tool for terrible things. There are of course some elements of foreign philosophies that others can borrow from. Jin Li’s work on the differences in child-rearing practices of Asian and Western parents, for example, suggests that all children everywhere can benefit from being brought up to think more about effort and their relations to others than their own abilities and personal development. However, such appropriation has its limits because of what Isaiah Berlin called the plurality of values, meaning that more than one set is justifiable but they may also be incompatible. Gains from greater community, for example, result in losses for real values arising from individual autonomy. If we therefore set out to decide which set of values is right and which is wrong we often ask the wrong question. Both have their losses and gains, and you can’t have one with the other. The different conceptions of self in different cultures matter so much because they are so subtle. If they really were staring us in the face we would know how to deal with them. When people speak a foreign language, for example, you either need to get an interpreter or learn it. But when people hold slightly different assumptions, it’s easy to miss what is critically different. And if we miss that, we not only cut ourselves off from others, we also cut ourselves off from useful ways of thinking about how we live. Is America Great Only in Movies?